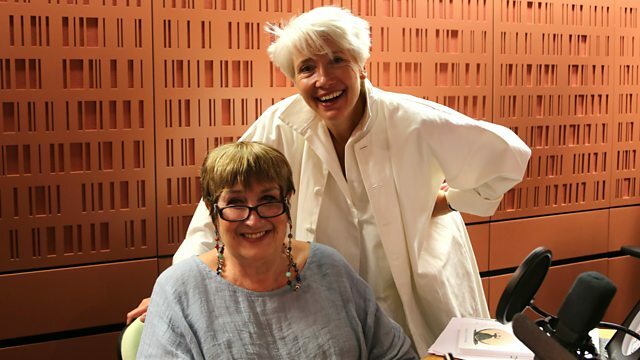 Emma Thompson on her role as a judge in The Children Act, reclaiming the female muses who inspired the pre-Raphaelite movement, and a live performance from rapper Sa-Roc. Emma Thompson talks about her new film The Children Act, celebrating being 60, the #MeToo movement and becoming a Dame. Reclaiming the female muses who inspired the pre-Raphaelite movement. Historian Kirsty Stonell Walker on uncovering evidence about their lives and why she wants to distance them from their image as "mad, troubled, suicidal and common". Free sanitary products at football grounds, are they really needed? Three women from the campaign, "On the Ball", talk to Jenni about involving football clubs in the fight against period poverty. Plus, live music from Sa-Roc a socially conscious rapper who's making waves in the industry.